The Patriots face the Texans tonight, and they're favored by a whopping 17 points. A lot of that is thanks to quarterback Tom Brady, who wasn't active the first time the two teams played, and has put together one of the best seasons of his Hall-of-Fame career this year. Brady can shred the Texans through the air, without a doubt. But the key to New England's success? That's running back LeGarrette Blount. Blount has shown an uncanny blend of size and speed this year, and paced the NFL with 18 rushing scores (a Patriots record). The big bruiser is the difference between former Pats playoff teams and this year's edition. He's the difference between a one-dimensional passing attack and a multifaceted offense built to protect leads and win in January. 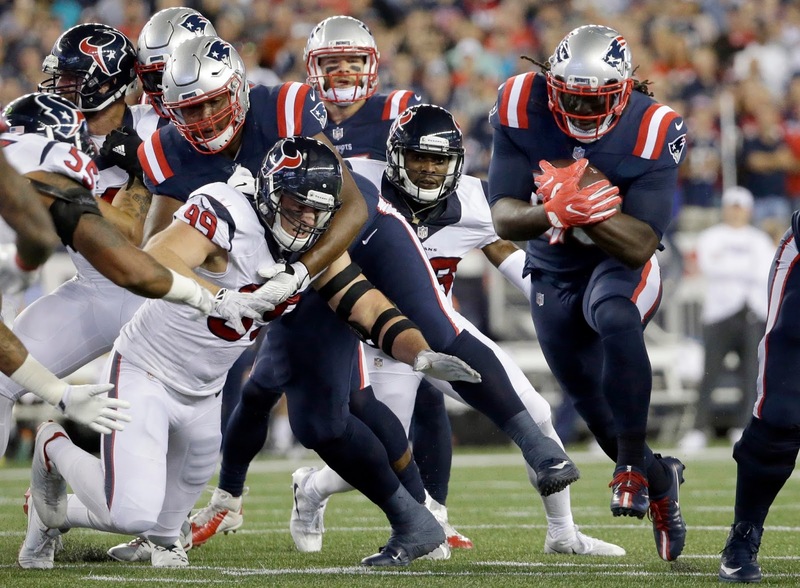 That ground-and-pound edge Blount lends will come in handy against Houston, which has a pair of solid cover corners in Jonathan Joseph and AJ Bouye and a pair of standout pass rushers in Jadeveon Clowney and Whitney Mercilus. Now, Brady and the passing offense can still produce, despite the obstacles. But to avoid risky third-and-longs, Blount will have to carry the team up the middle. From everything he's shown this year, that's a doable proposition. The Patriots might be among the biggest playoff favorites ever, but that doesn't mean they can afford to phone the Texans in on Saturday night. Tom Brady may catch a lot of the pregame attention, and he deserves it. But if the Pats want to advance to the AFC Championship Game for the sixth year in a row, they can't afford to overlook LeGarrette Blount.